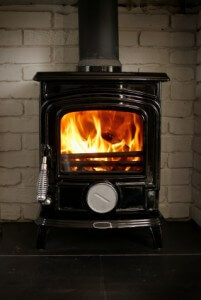 If you have a fireplace or a wood stove, then you probably already know how valuable this service is to you. Like most people who use their fireplace or wood stove, you have certainly heard the mantra: Your chimney should be inspected yearly and swept if necessary. But you can certainly benefit from our service even if you only have a gas or oil furnace or perhaps a gas or oil boiler. Too often people overlook having these chimneys swept until confronted with a major problem. If you would like to know why these chimneys should be cleaned, just give us a call and we’ll explain it. 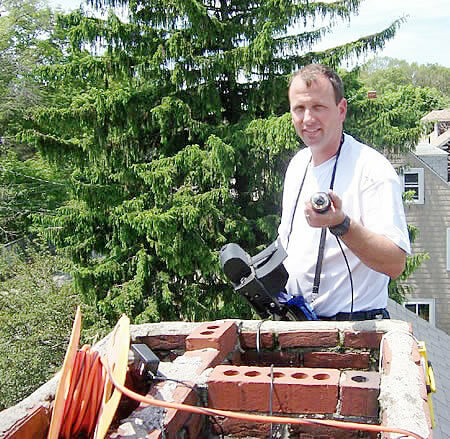 When you think of chimney cleaning, you probably think of a guy on the roof with a brush and long poles. We still use chimney brushes and rods, but we also have newer tools that allow us to do an even more thorough job cleaning your chimney system. The “rotary loop” power system we use applies just the right pressure to scour the inside of the chimney, and allows us to get into all the little chinks and nooks that a simple brushing might miss. It’s chimney cleaning technology for the 21st century. Ask us about rotary cleaning!